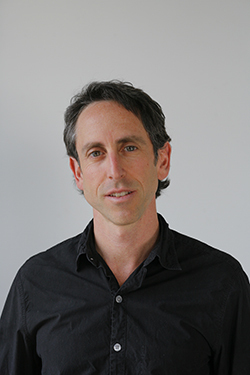 Jon Cohen ’90, co-CEO of Cornerstone and co-founder of the FADER Inc. and FADER Label, will speak on Tuesday, March 1, at 6:30 p.m. in the Lender Auditorium (Room 007), located on the concourse level of the Martin J. Whitman School of Management. The lecture is part of the Bandier Program’s Soyars Leadership Lecture Series. It is free and open to the University community. Cohen graduated from the S.I. Newhouse School of Public Communications. In 1997, he became co-CEO alongside Rob Stone of Cornerstone, a New York City-based, full-service agency that has grown globally and opened offices in Los Angeles; London; and São Paulo, Brazil, with a dedicated staff of more than 100 employees. At Cornerstone, Cohen and Stone have created a new style of marketing. Billboard Magazine declared, “Cornerstone sits on the nexus of branding and music, and are arguably the pioneers in the movement.” The agency’s clients include Budweiser, Diageo, Coca-Cola, Converse and Nike. In 1999, Cohen and Stone launched the FADER, the unofficial guide to what’s next in music and culture. The publication, which the New York Times called the industry’s “music and fashion bible,” has been credited with placing now A-list artists on its cover first. Additionally, Cohen co-founded FADER Label, which has released critically acclaimed albums by Matt & Kim, Editors and Saul Williams.